St. Martin's Griffin, 9781250116666, 352pp. When Jill becomes both pregnant and single at the end of one spring semester, she and her two closest friends plunge into an experiment in tri-parenting, tri-schooling, and tri-habitating as grad students in Seattle. Naturally, everything goes wrong, but in ways no one sees coming. Janey Duncan narrates the adventure of this modern family with hilarity and wisdom and shows how three lives are forever changed by (un)cooperative parenting, literature, and a tiny baby named Atlas, who upends and uplifts their entire world. 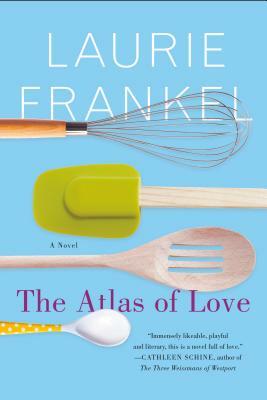 In this sparkling and wise debut novel, The Atlas of Love, Frankel's unforgettable heroines prove that home is simply where the love is.